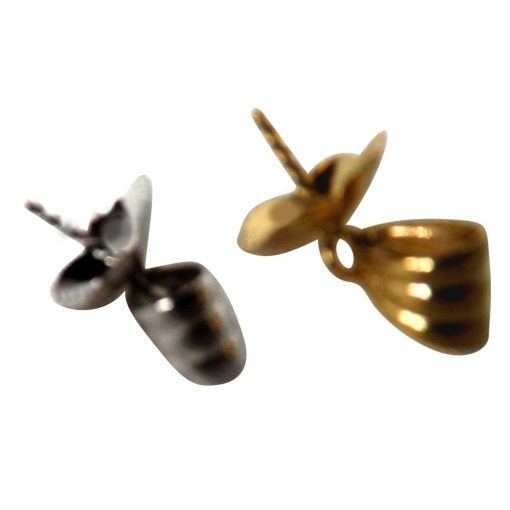 This Large 18K Gold Pearl Pendant Setting with 8mm Flower Shape Cup is perfect for a 9mm or larger pearl or other half-drilled stone. 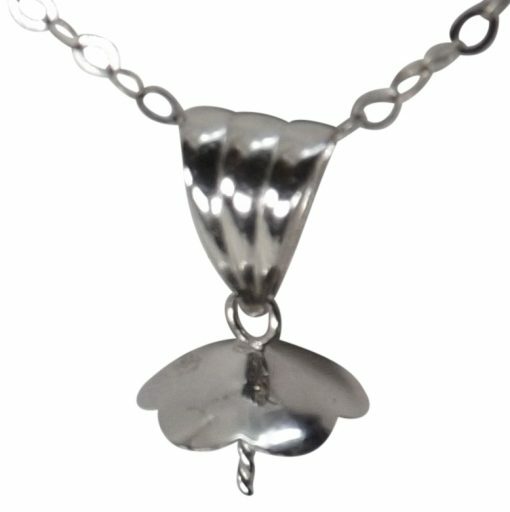 The flower shaped cup is 8mm and looks best with a round or tall button pearl. 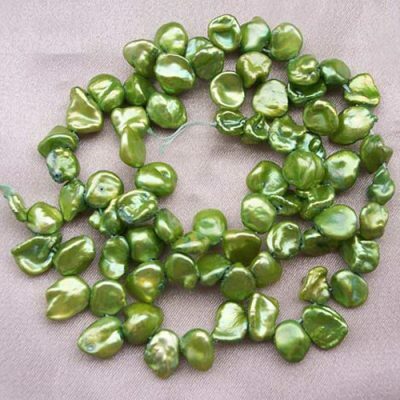 Its stylish flared bail is a huge 3.75mm x 7.5mm which will allow you to hang it on large chain, leather cord, silk cord, or ribbon making it a very versatile pendant. 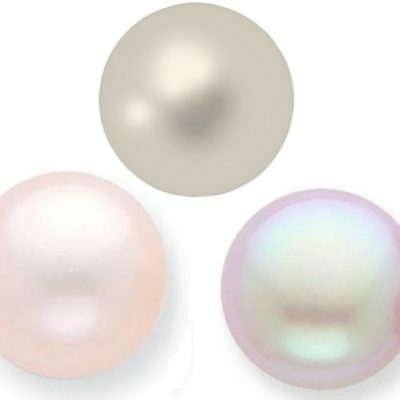 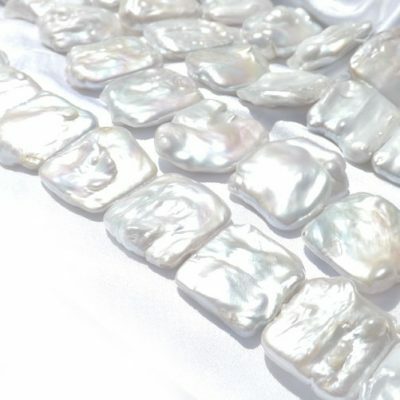 If you have an large undrilled pearl that has imperfections on one side, you can drill the hole there, and the cup will cover it up, so all you see is the pearls exquisite beauty and luster.